Happy November! It’s the FIRST Wednesday of the month, which means it’s blog hop time! 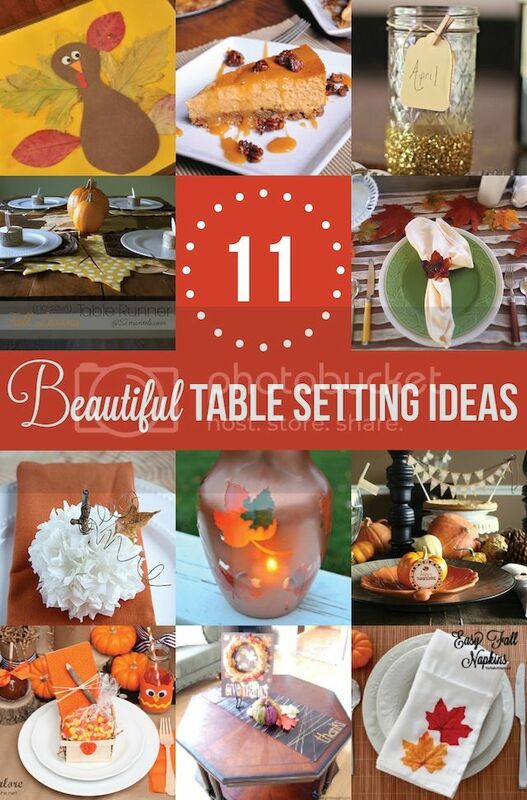 My group today is sharing fun ideas for your Thanksgiving table! Today you’ll find our FREE Thanksgiving Package (over 150+ pages of goodness for FREE), along with a new printable kids place mat that they can color and decorate during the holiday! Our printable package can be used in many different ways…check out this easy place setting! For even more Thanksgiving ideas, stop by my other friends’ blogs to see some other great Thanksgiving tablescape ideas and desserts! Click on the individual image or link below to visit their site. Stop back next month for 12 Handmade Christmas Gift Ideas! You always have the best printables, thanks for sharing these fun Thanksgiving goodies!